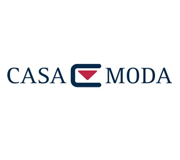 The Casa Moda products are distinguished by their consistent high quality offering of Shirts, Knitwear and accessories. A shirt specialist for over 70 years, the brand grew dramatically during the 90’s, with a venture into quality knitwear matching perfectly with their range of quality shirts. This brand provides beautifully quality clothing in top fashionable designs at affordable prices.